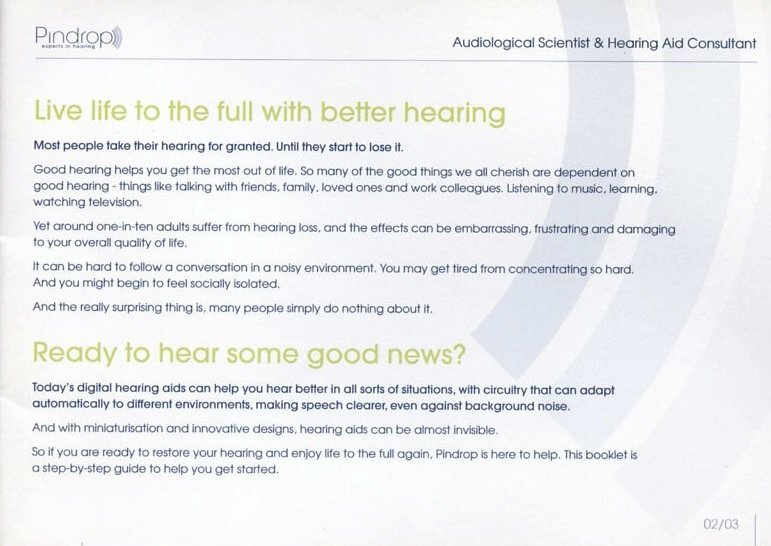 Audiology specialists Pindrop Hearing wanted to communicate the benefits of good hearing and the options available to clients who are suffering from hearing loss. The Harley Street specialists wanted to position themselves as a leading specialist hearing aid consultant, showing that they understood the issues and could provide independent, expert advice. 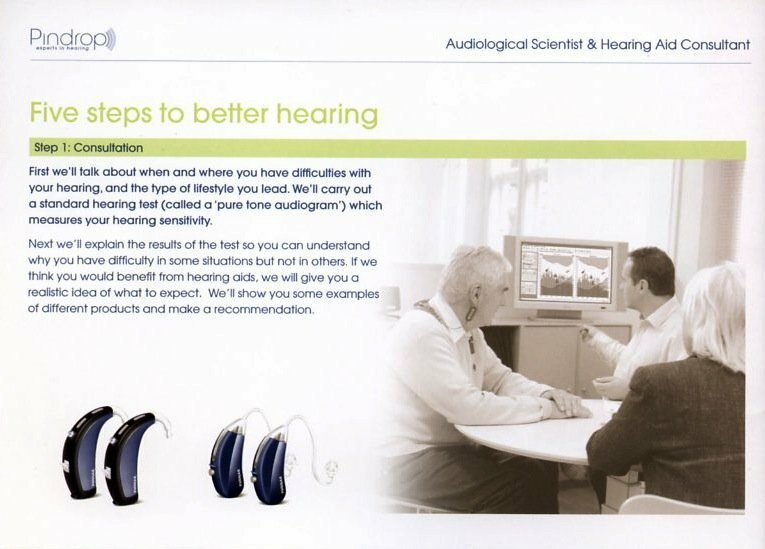 I was asked to write a brochure and website that clearly set out the company’s qualifications, experience and expertise, showed that its people understood the affect hearing loss can have on quality of life, and which fully explained their consultation process. 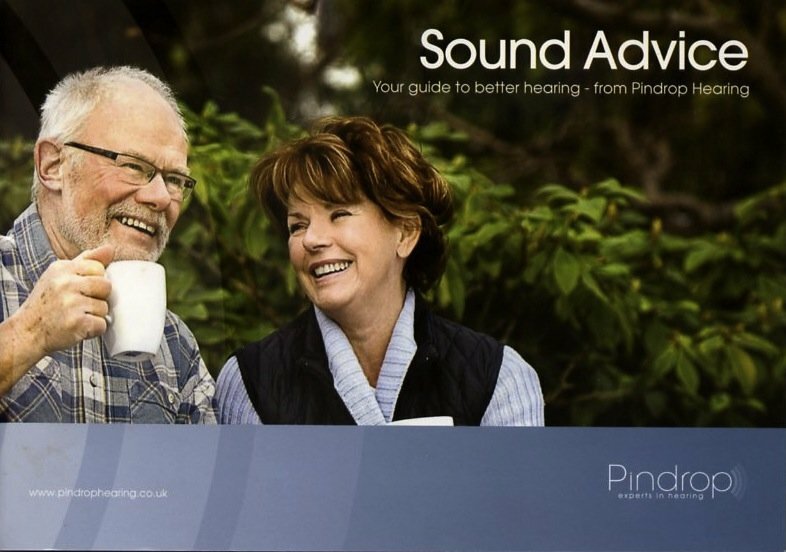 The range of marketing literature also explained the different hearing aid technologies and options available to patients. The result was a website and marketing brochure that positioned the company as a high quality provider, run by highly qualified and dedicated people who were committed to providing the highest standards of service. It also, through clear explanations, helped patient make the right choices about how to tackle their hearing loss.